The WRX is turning heads throughout the Denver area, and you may be planning to visit your local Subaru dealer I near Denver Colorado to check this sedan out. 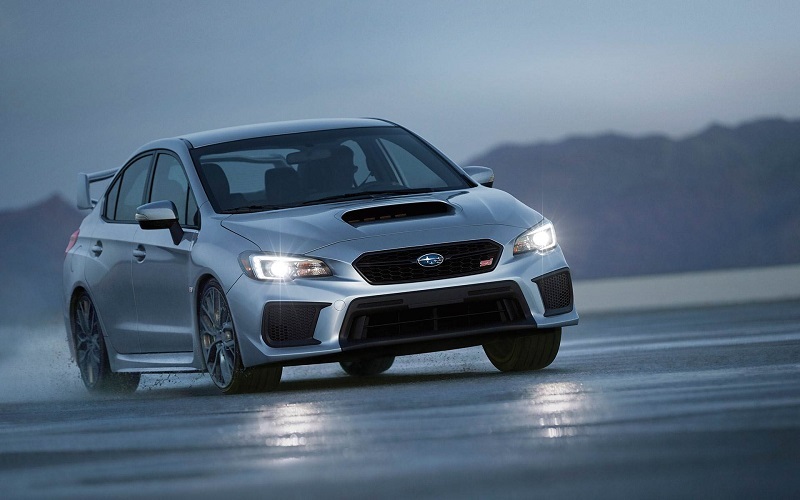 The 2018 Subaru WRX STI near Denver Colorado is a truly impressive edition to consider, and it may catch your eye as soon as you arrive at your Denver area Subaru dealer. 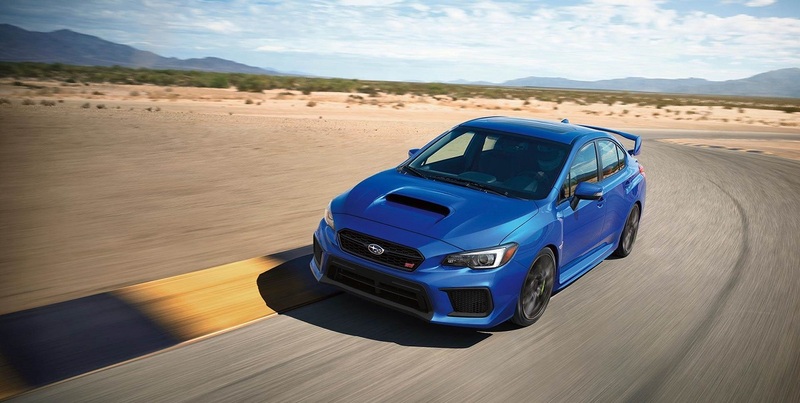 While you may want to read a 2018 WRX STI review or two before you arrive at the dealership to learn more about its features and capabilities, you can rest assured that this incredible sedan will not disappoint you when you take it for a test drive. You will love the incredible design of the exterior of the 2018 Subaru WRX ST I near Denver Colorado. This model is equipped with 19 x 8.5-inch alloy wheels to give it a rugged, modern look that you will love. You can choose from a wide range of colors when you visit your local dealership serving Denver Boulder Fort Collins CO. Some of the options include pure red, metallic white, icy silver, black and blue. The Subaru WRX STI also is equipped with a windshield wiper de-icer package, body-colored side mirrors with turn signal lighting, a quad stainless steel exhaust feature, a integrated diffuser in the bumper, underspoilers in the front and rear of the vehicle, LED headlights that are responsive to the steering direction and much more. Altogether, the Subaru WRX STI has an incredible exterior design that will delight you for years to come. When you visit your Subaru dealer serving Denver Boulder Fort Collins CO, you can sit behind the wheel of the 2018 Subaru WRX ST to admire its beautiful interior for yourself. While the exterior of the 2018 Subaru WRX STI near Denver Colorado may look rather small, you will be surprised at how roomy the interior is. There is ample space for five adult passengers to sit comfortably in the cabin. This edition is equipped with a six-way adjustable driver's side seat and performance designed front seats. The rear seat folds down when needed to give you extra cargo space in the roomy trunk. The leather-wrapped steering wheel has red stitching for added flair, and it has controls for cruise control, audio and more. 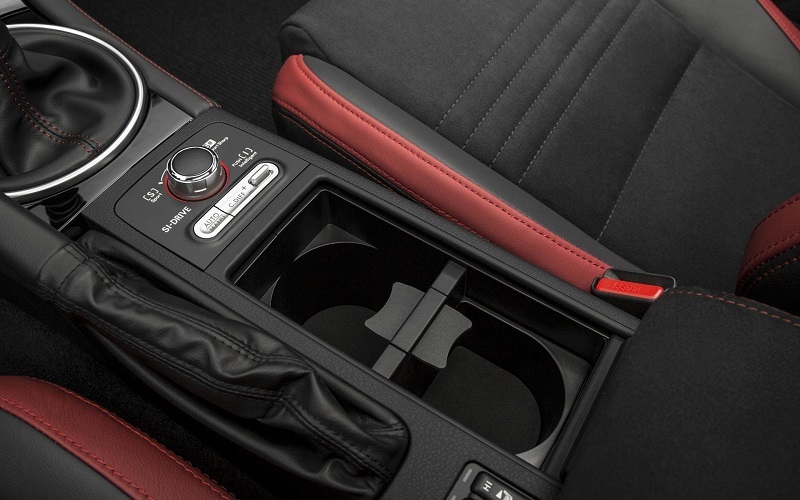 Leather trim is on the shift handle and throughout the cabin to give the car a more luxurious appearance. There is also a seven-inch display screen for your entertainment system controls and a powerful climate control system to keep you comfortable regardless of the weather conditions outside. The interior is well-described in a 2018 WRX STI review, but you need to see the car in person at your local Denver area Subaru dealer to experience its impressive design for yourself. Many people who read a 2018 WRX STI review want to learn more about what this car offers to its customers from a mechanical standpoint. At your Denver area Subaru dealer, your salesperson will tell you about the many features loaded into this car that give it a smooth, responsive ride across all types of terrain. The 2018 Subaru WRX ST I near Denver Colorado has symmetrical all-wheel drive with a driver-controlled central differential, active torque vectoring, an advanced traction control system for a smooth ride, a quick-ratio assisted power steering feature, Brembo performance brakes, brake assist and a brake override system. You will be undeniably impressed by how this sporty vehicle handles when you take it for a test drive. With the eye-catching style of the Subaru WRX STI, you expect this sedan to have incredible power, and you will not be disappointed with what it brings to the table. At your local dealership serving Denver Boulder Fort Collins CO, you can learn that this car is loaded with a 2.5-liter supercharged turbo engine that boasts 305 horsepower with 290 foot-pounds of torque. It has an intercooler for maximum performance as well as an intelligent drive system, a fully-synchronized six-speed transmission and other incredible features that you will love. As amazing as the 2018 Subaru WRX STI near Denver Colorado is, one final factor may weigh on your mind. You may be wondering how safe this car is to drive. The good news is that it has impressive safety features from bumper to bumper that will keep you safe. For example, it has excellent traction control and stability, numerous airbags throughout the cabin, anti-lock brakes, daytime running lights, a rear view camera, a StarLink safety and security feature, three-point adjustable seatbelts, rear child safety door locks, child seat anchors, a collapsible steering column, a reinforced frame body, a keyless entry system, an engine immobilizer and an anti-theft security system. 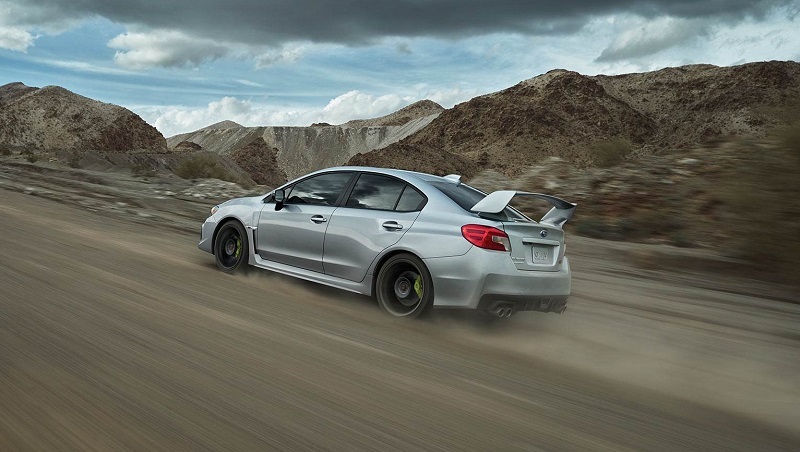 When you want to feel safe and secure on the road, the Subaru WRX STI is the car to purchase. When trying to find the perfect car to purchase, you understandably may be attracted to the sleek style of the 2018 Subaru WRX STI near Denver Colorado. Of course, you want to purchase a car that performs well on the road and that has all of the impressive interior features that you desire. When you take a closer look at what this car offers, you will see that it is the perfect car for you. Drop by your local Denver area Subaru dealer to see this car up close and to take it for a test drive today.